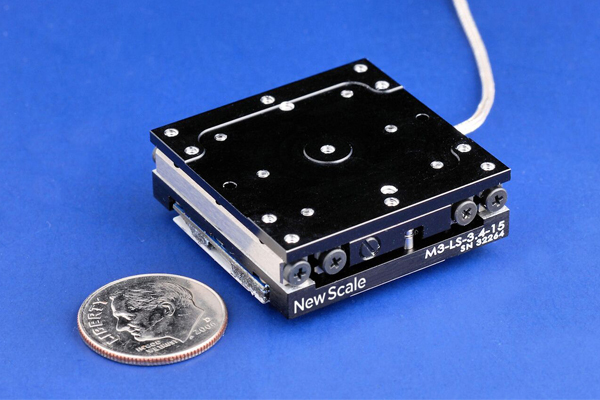 Embedded motion systems make great products smaller. Multiple silicon probes. One simple manipulator system. For in-vivo neural recording. Fast setup. Amazing precision. Higher productivity. 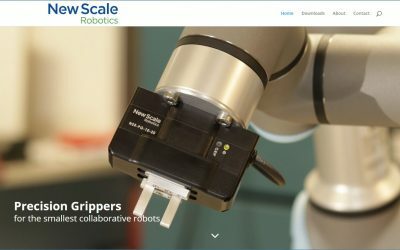 The smallest grippers for the smallest collaborative robots. Rotary piezoelectric “smart stages” with embedded drive electronics offer high precision, smallest size and unmatched ease of use. Linear piezoelectric “smart stages” have embedded drive electronics for smallest size and fast integration into handheld and portable instruments. 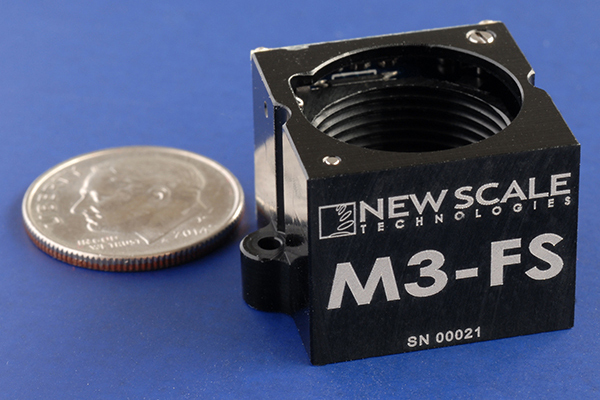 Tiny, precision focus modules enable smaller instruments. Piezo motors and 3 VDC controllers are integrated into compact lens holders. 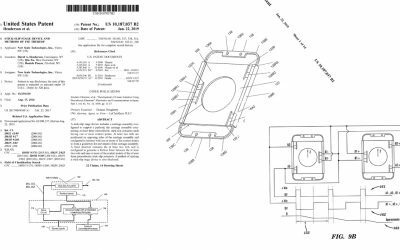 Piezoelectric "smart actuators" have built-in, closed-loop control system for smallest size and easy integration into OEM systems. M3 smart modules have built-in controllers. No separate control board is needed! They are ready to plug-and-play directly with your system processor and 3-6 VDC power supply. You achieve the smallest system size, fastest time to market, and lowest total cost. 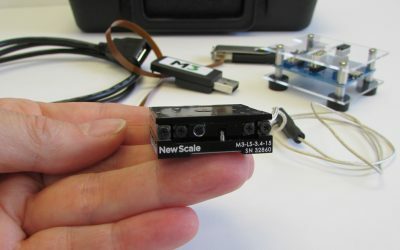 New Scale helps customers transform their large, expensive, complicated-to-use systems into small, affordable, easy-to-use instruments and devices. Our customers use our tiny motion modules to adjust micro optics or mechanical components within their handheld, portable and mobile systems. The modules have micrometer precision, work on battery power, perform at any orientation and resist shock, vibration and temperature extremes. With all controls built in, they are the smallest, easiest-to-integrate solution for product designers creating miniaturized systems for a range of markets. Multiple silicon probes. 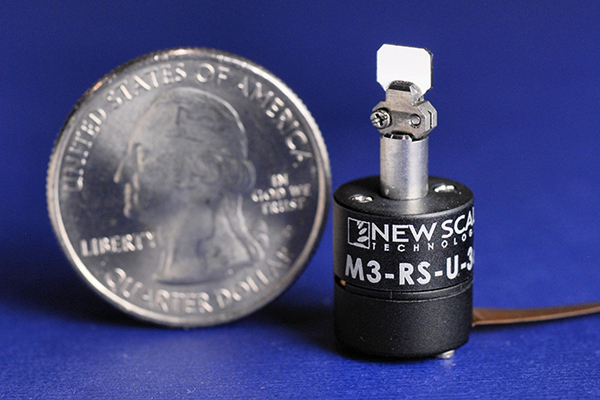 One simple micromanipulator system. 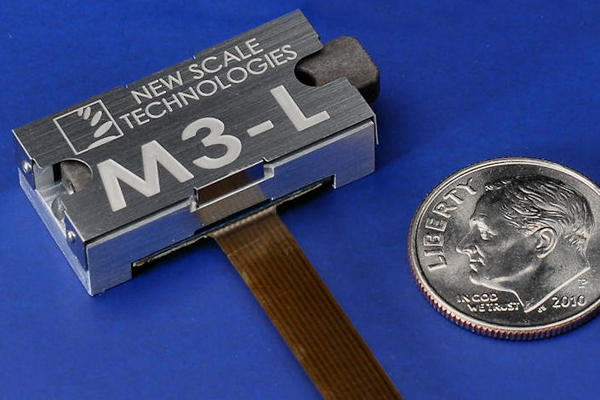 M3-LS Linear Smart Stages enabled rapid development of the MPM Multi-Probe Micromanipulator System: The first micromanipulator optimized for use with silicon probes. The compact MPM System provides convenient, automated positioning of multiple neural probes for acute in-vivo recording.